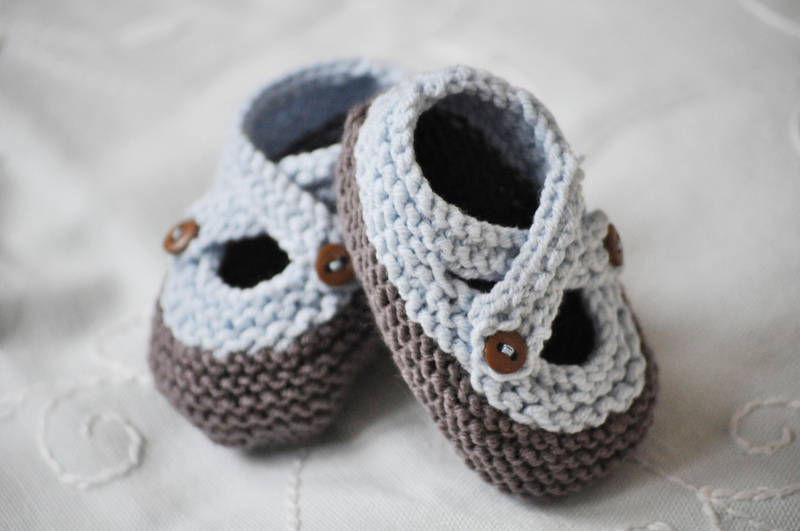 And as promised here is another sweet knitted gift I made for my nephew: Saartje's bootees in brown and light blue. I have knitted quite a few of them now and I always return to this pattern because it is quick and easy and very, very cute. The other good thing about it is that it suits both boys and girls. Wie versprochen kommt hier ein weiteres suesses Geschenk fuer meinen neuen Neffen: Saartje's bootees in braun und hellblau. Ich habe inzwischen schon etliche davon gestrickt und kehre immer wieder zu diesem Modell zurueck, da es schnell und einfach zu stricken geht und sooo suess ist. Die andere gute Sache ist, dass es sowohl Jungs als auch Maedels steht. How cute! and I love the colors!